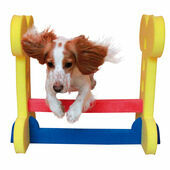 Dog agility is a great way to keep both yourself and your dog fit and healthy, as well as having some fun at the same time. 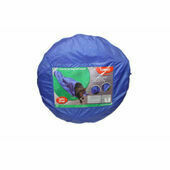 Here at The Pet Express we stock a range of dog agility equipment for all ability levels. 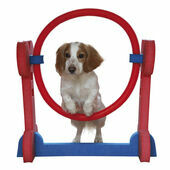 As well as being great exercise, dog agility will improve the bond between you and your dog. It helps to build a positive, trusting relationship and you'll have a much better-trained animal at the end of it. 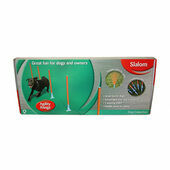 And who knows, you might even be able to compete at Crufts! 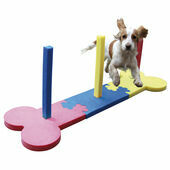 In its simplest form, a dog agility course consists of a set of standard obstacles laid out in a design of your own choosing. 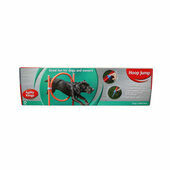 Agility was first introduced to the UK at Crufts in 1978 and the structure of the competition has not changed very much over the years. 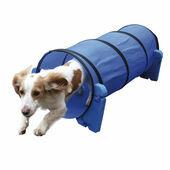 If you're not sure where to start our complete dog agility course has everything you'll need, while a simple dog agility tunnel is also a good place to begin.